Tasha and Josh got married on Dec 28th 2013. Her wedding colors were coral, white, and mint. The draping was white and was placed on the bamboo arbor. Tasha had six bridesmaids and six groomsmen, and one flower girl. We really liked her bouquet. It was very unique. 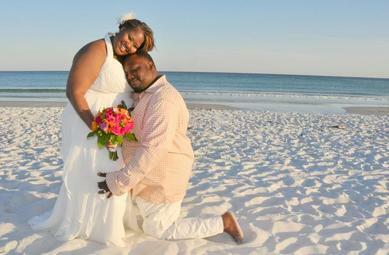 This wedding was in Destin Florida. It was a great Destin Beach wedding with the bride and groom and their guests. they had a reception at the Hemingways Restaurant on Pensacola Beach. for a Pensacola Beach wedding. They are very happy together! 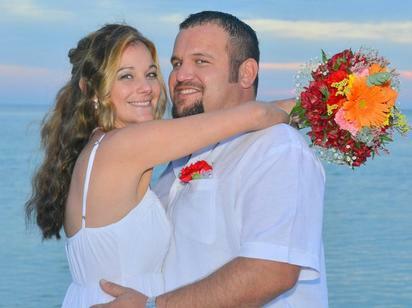 Beth & Jonathan had their wedding this past summer in Panama City Beach. years together and many more beach trips to Panama City Beach. at the James Lee Park in Destin Florida. The wedding was held right on the beach in front of the pavilion and the reception followed . They hired a D.J. to keep everything moving along . They picked up all of the food from Publix which consisted of food trays of cheese and deli meats. The cake also came from Publix and was a 2 tier with Purple Roses and cupcakes all to each side. The kids loved grabbing the cupcakes and running around on the crystal white sand down on the beach. 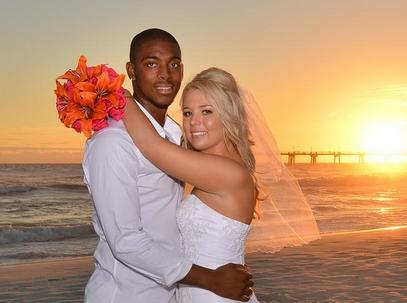 The couple will be staying here in Destin for the next week to enjoy a honeymoon. 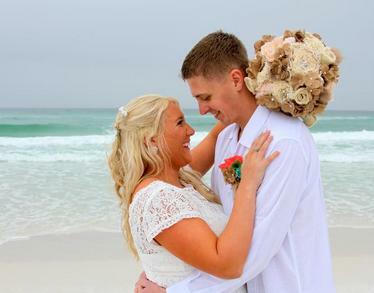 It was a great Destin Beach Wedding!